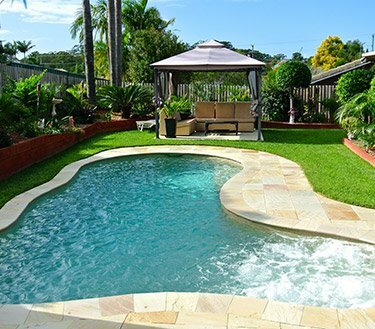 At Burleigh Pools, we pride ourselves on our commitment to customer service and quality workmanship when building your pool. Here are just a few of the testimonials we have received from our clients over the years. The sales representative at Burleigh Pools was very nice and helpful. He helped us choose the best pool layout for us while not just trying to sell their services. I was very happy with the end result and they also gave us some tips for the maintenance and cleaning of the pool. Thank you, guys! Very pleased with the new pool and spa. I have recently contracted Burleigh Pools to build a pool and spa at our home and found their sales team the most knowledgeable and professional from all companies we had received quotes from. They took care of every aspect so well and were extremely fast in building the pool and spa. I highly recommend this company to anyone looking to build a pool. I found all of the staff extremely friendly and helpful to answer any questions. I am so pleased with the pool Burleigh Pools has built for us. The sales professionalism was by far the best of all that I had interviewed, Glenn worked with our design to get the maximum results. Once we selected them they got right to work taking care of everything and were extremely fast in completing each step with the right equipment. The project manager Trevor and Liz in the office were always contact with each step and all of the staff were very friendly to answer any of my questions. So pleased with the end result. The team of Burleigh Pools constructed the plunge pool for us in our garden I did not give them much space to work with but they did a fantastic job. I get complimented all the time from my friends and family about the pool. Our pool is awesome and Burleigh Pool were great to deal we use the pool every week and the kids love it. Wow! The service is extremely good and the pools that they construct are amazing. Their pool design totally complements with the whole architectural aesthetic of my house. Exactly as I had imagined. My friend always bragged about the pool that he got constructed from the Burleigh team. I decided to get my pool constructed by the team this year and I must say, I was not disappointed. My pool is very stunning, I love it! Thanks to the Burleigh team. It was a great experience. Absolutely wrapped with our new pool!!! We had a seamless experience from the beginning when Glenn drew up a plan to suit our new home and block. The price was very competitive and whilst not the cheapest, we didn't just want the cheapest pool. Our friends who'd recently moved into their new home in Sanctuary Cove recommended Burleigh as they had just finished their pool and landscaping it at looks fantastic. Ours looks even better (we think ;-)). Absolutely recommend highly. Thanks Garry for your prompt and efficient service installing a replacement pool filter system and pool vacuum. So happy with the 3 speed eco pump. The POOL SHARK is brilliant and has saved me so much time. Highly recommend Burleigh Pools. Very happy with our new pool. Friendly and helpful staff, good service all-round. Love our new pool, we were recommended Burleigh Pools by our neighbors and will continue to recommend them to others. Professional and their years of experience show in their work. We decided to use Burleigh to build our pool based on a recommendation from one of our neighbours and so glad we did. The Sales Rep was fantastic, so knowledgeable and explained to us the entire pool process which was important as we had never owned a pool before. The owner was on site the morning of the excavation and oversaw the whole operation to ensure all went smoothly which it did. The end result is that we have a beautiful pool we are proud to show off and Glenn also drew us up a landscaping plan which Burleigh assisted us with to finish off the project.